A joint research project between North Carolina State University and the University of North Carolina aims to replace insulin injections with a patch. The patch has already been tested on mice and several animals. and researchers believe the results look promising so far. Researchers explain that the patch will sense blood sugar levels and release insulin once blood sugar levels rise. Once the blood sugar levels reach a normal range, less insulin will be released. 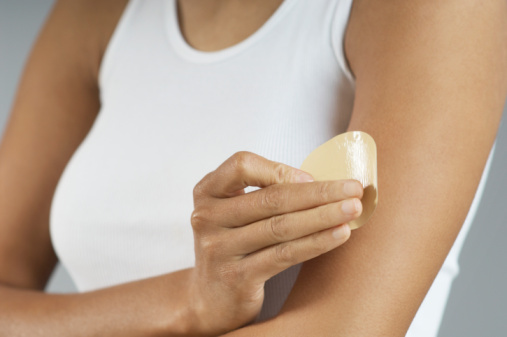 Researchers suggest that the patch is also completely painless compared to insulin injections. The patch has a polymer-based material that is sensitive to blood sugar level changes. Researchers are trying to mimic the functioning of beta cells, or the vesicles inside the cells, so they can disrupt once blood sugar levels increase and release insulin. The team also discovered a way to fit over 100 micro-needles into one patch—which is smaller than a dime. Each micro-needle contains insulin and enzymes that can tell when blood sugar levels change. Approximately 387 million people suffer from diabetes worldwide (including 21 million Americans)—researchers are hopeful that insulin injections and insulin pumps will soon be a thing of the past once the patch is implemented. “Insulin patches could replace injections,” Health24.com, July 14, 2015; http://www.health24.com/Medical/Diabetes/News/Insulin-patches-could-replace-injections-20150714.